List of Figures and Plates. 1. 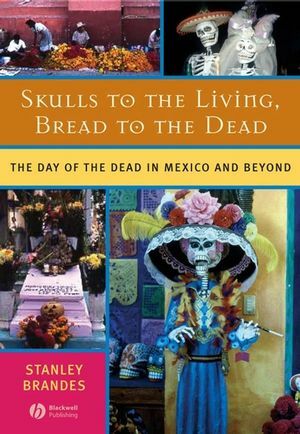 The Day of the Dead, Problems and Paradoxes. 2. The Sweetness of Death. 4. Tourism and the State. 5. The Poetics of Death. 6. The Day of the Dead and Halloween. Part 4 North of the Border. 7. Teaching the Day of the Dead. 9. Mexican Views of Death. A fascinating look at the Day of the Dead - Mexico’s version of All Souls’ Day - when Mexicans clean, decorate, and maintain vigil over relatives’ graves. Dispels myths about the rituals, which have been misconstrued as morbid or morose. Shows that, rather than feeding a national appetite for death, the festival is in fact a powerful affirmation of life and creativity. Beautifully illustrated with both black and white and colour photographs.